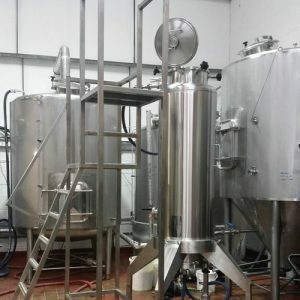 We started trial brewing on a home brew kit back in early 2009 when the country was in the depths of the recession, which is partly how the name Brightside arose. That and the fact that we also like The Killers! 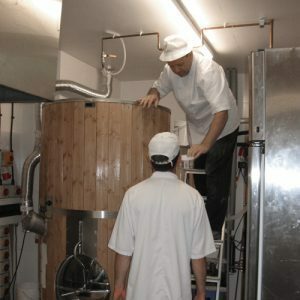 These days we’re an established name in Manchester, with a reputation for quality consistency and service. 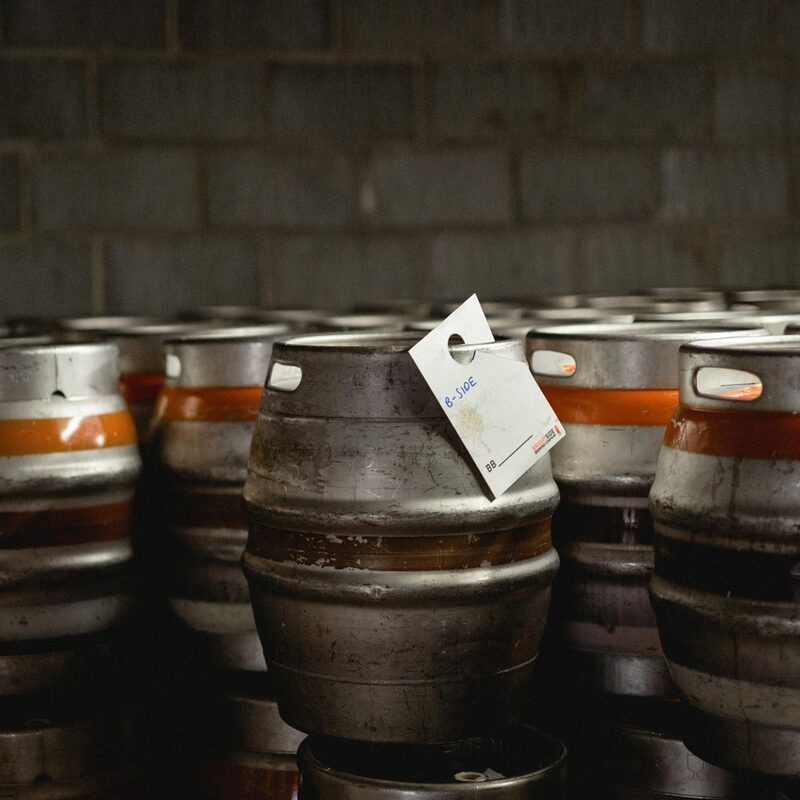 Our beers can be found in many of the free of tie pubs and bars in the city, out towards Crewe and Chester in the South, through the Wirral, and up to Preston in the North (in fact, across much of the UK by way of swapped casks with partner breweries and wholesalers). 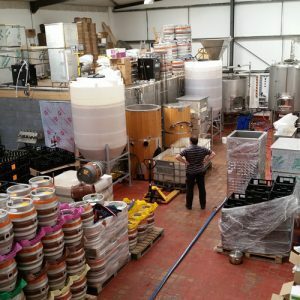 The year the idea started to grow…we worked through lots of names for the brewery, which was surprisingly difficult given that there really weren’t that many around at this point! 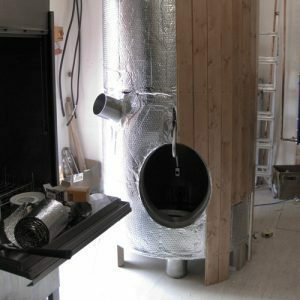 We really started to take the idea of having a brewery seriously this year, trial brewing on homebrew kit (homemade, obviously! 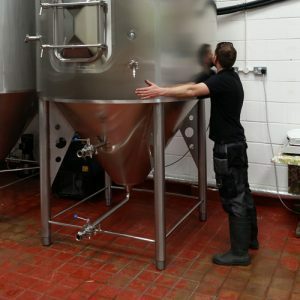 ), then designing and building our first ‘commercial’ 2.5bbl equipment. 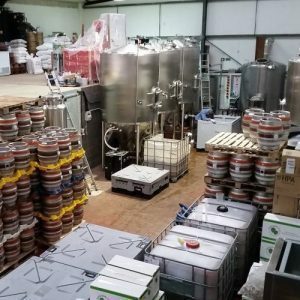 By summer we had installed the kit in the back of our bakery and started scaling up recipes; for 12 months we learned our trade, drinking or destroying all we produced. 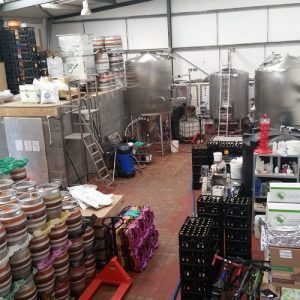 At this point we took the plunge and started to sell our beers to local pubs, the first, ‘Solstice Golden Ale’ was sold in July to The Trackside in Bury. 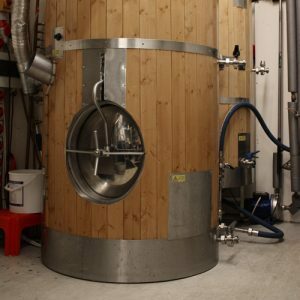 Later this year we won our first CAMRA beer festival award for ‘Maverick IPA’. 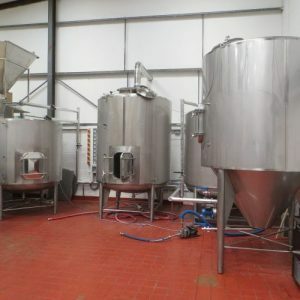 Gathering momentum, we were brewing 3 times a week whilst still running the bakery, and by October were selling all that we could produce which was proving to be a handful! 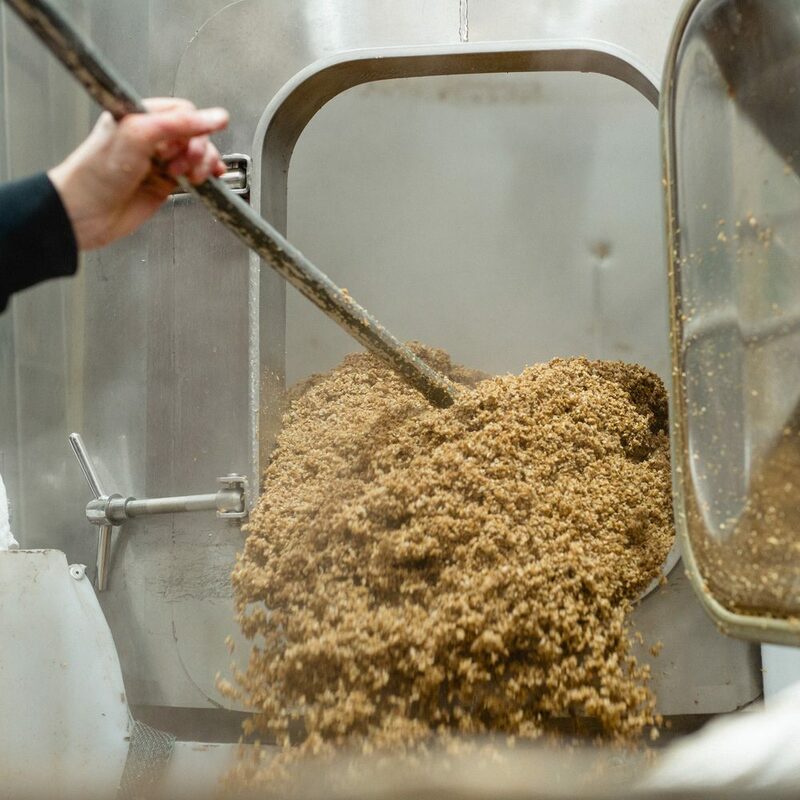 This was also the year that Odin was launched – which continues to be our best-selling beer. 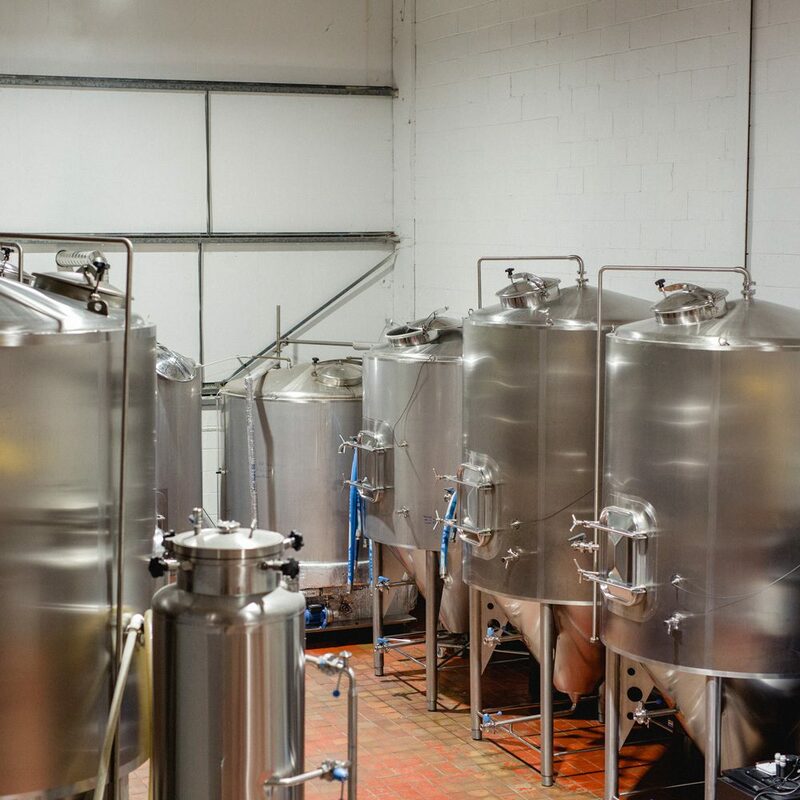 In the space of a year we went from brewing in the back room of our bakery, to running a brewery that we built ourselves from the ground up. 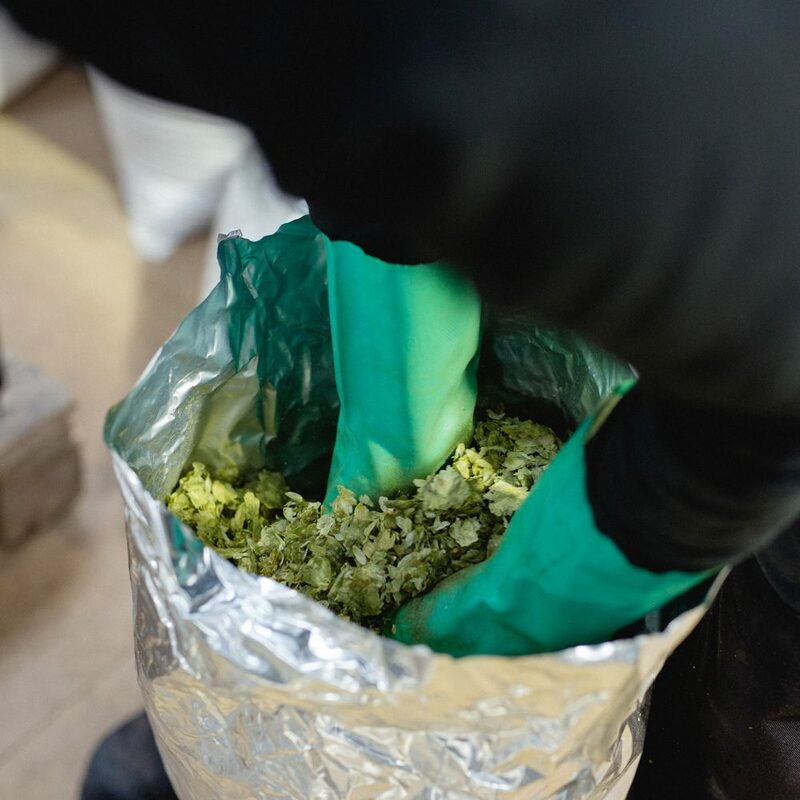 Working 14+ hour days, 7 days a week to produce enough beer to grow our shiny new business, we certainly put in the graft! 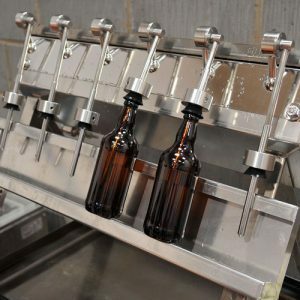 We also got our hand-filled bottles out into the wide world. 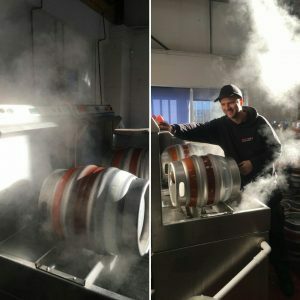 The early part of the year saw the installation and first brew on our new 18bbl plant, and we went from producing 10 casks a day to up to 70 casks per day, overnight: We called the beer ‘Happy Days’ to celebrate! 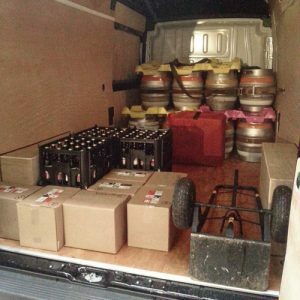 We invested in more fermenters, casks and a van to support our growth. 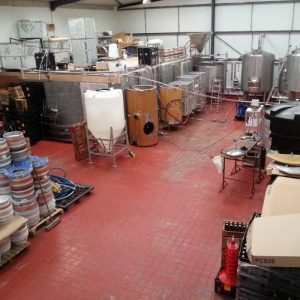 Now that we were a proper brewery, with large scale gear and a healthy cask population, we worked hard to consolidate our customer base. 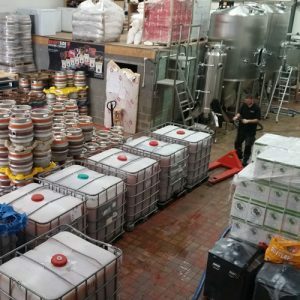 Through MTBs and our first Manchester Beer and Cider Festival we got the word out into Manchester. 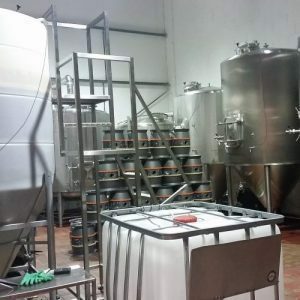 We branched out into kegging, and bought larger fermenters. 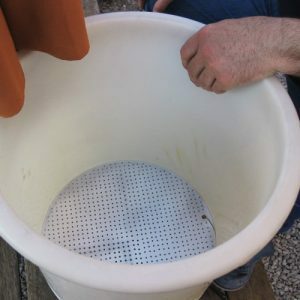 With expansion comes yet more cleaning! 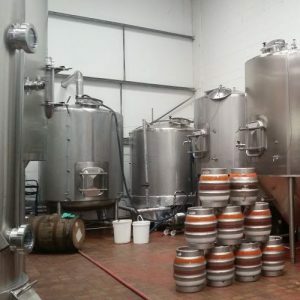 We continued to invest in our kit, buying a second cask washer, plus a forklift, another FV, more casks and kegs; single handedly keeping the steel industry afloat! 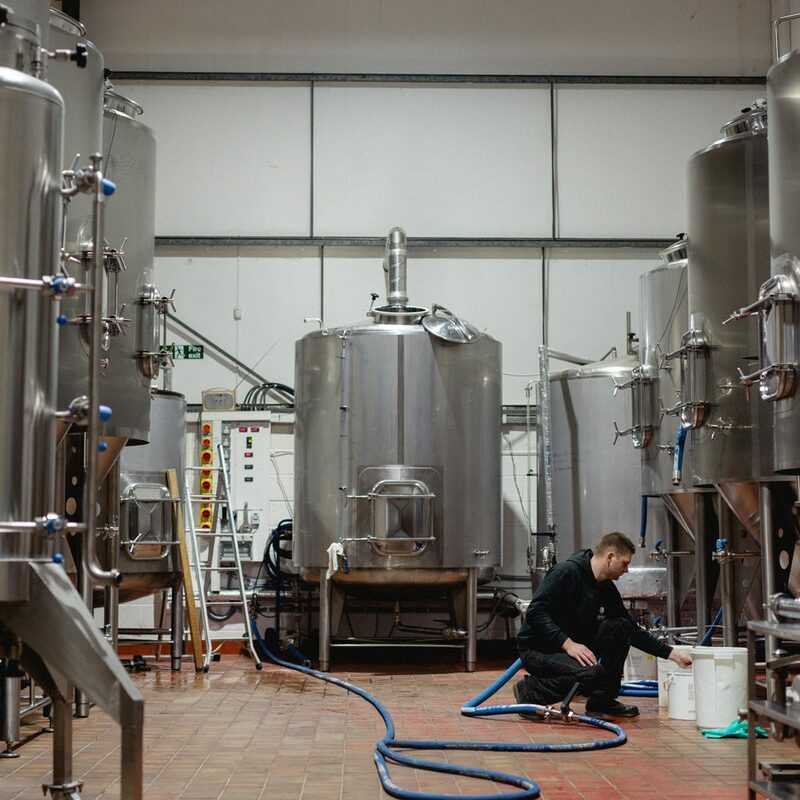 Martin joined the team in August as an assistant brewer and made the increasingly busy brewing schedule considerably easier. 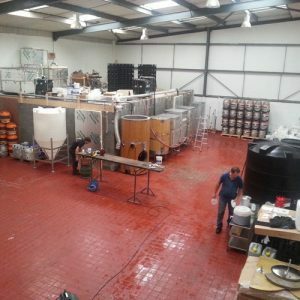 Having become one of the largest micros in the area, by this time we wanted to experiment more with our beers and so launched Wildside Beers at the start of the year which allowed us to try out new brewing methods, ingredients, canning, whilst also giving our customers a completely different range of styles. 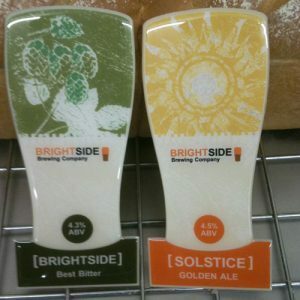 We also designed and built a hop rocket, had our 6th FV installed, and gave our Brightside brand a refresh. 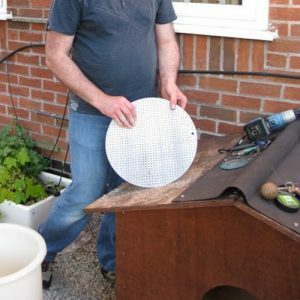 Busy busy! 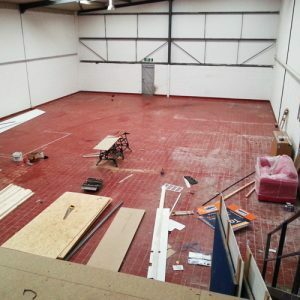 We start the year by extending our conditioning room to twice the original size now standing in excess of 1000 square feet to prepare for summer, and launch our brand new website. Who knows what the rest of the year will bring?! 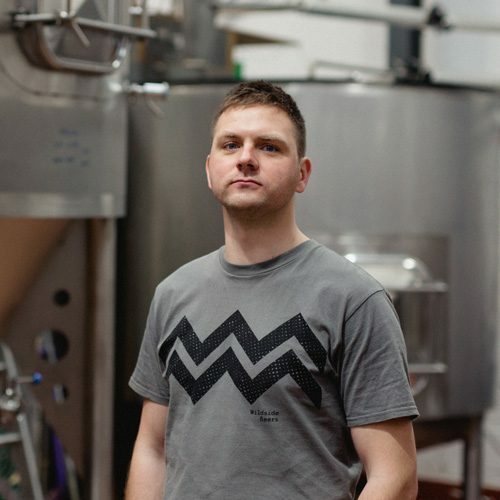 The guy who makes your beer appear, Andy is our feet on on the ground. 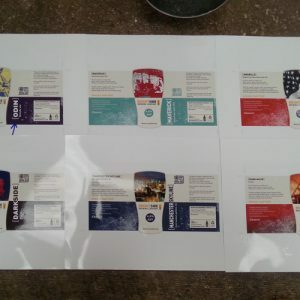 Bringing lovely beer to you and the word on the street back to us! 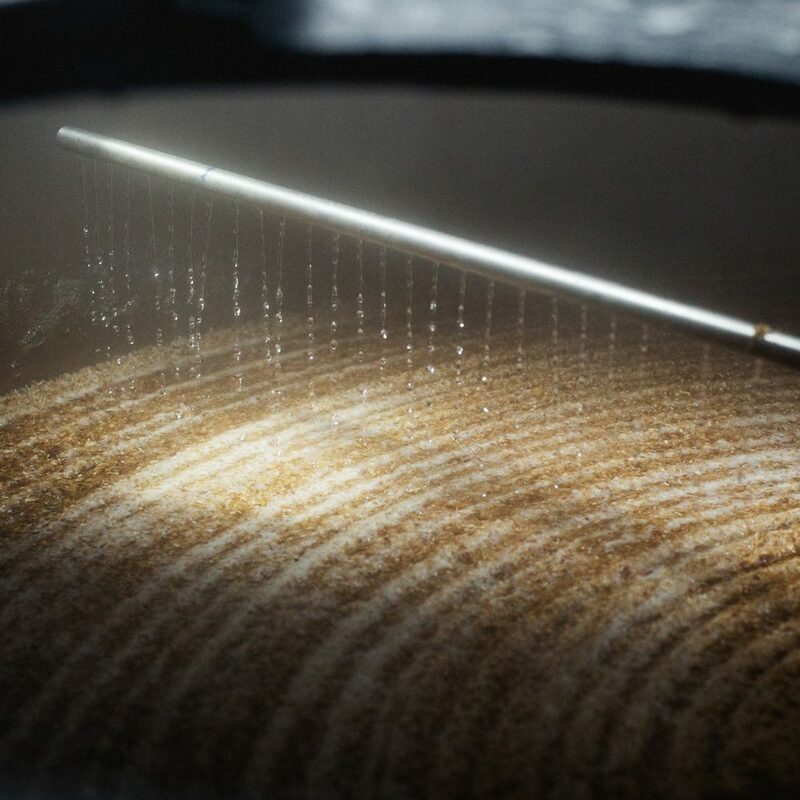 Efficient & quick, he’ll make sure your bar is never dry. 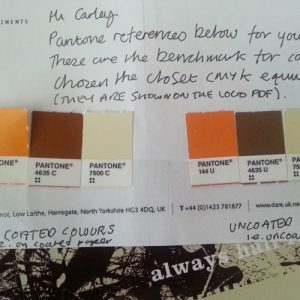 The friendly voice at the end of the phone, Carley is always here to help! 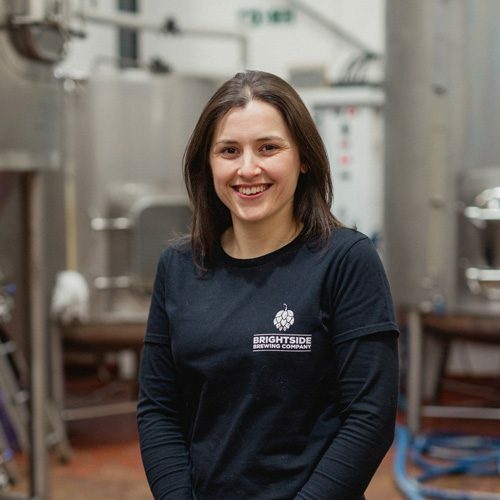 Chief storyteller, beer seller and solution finder she takes care of everything customer related. 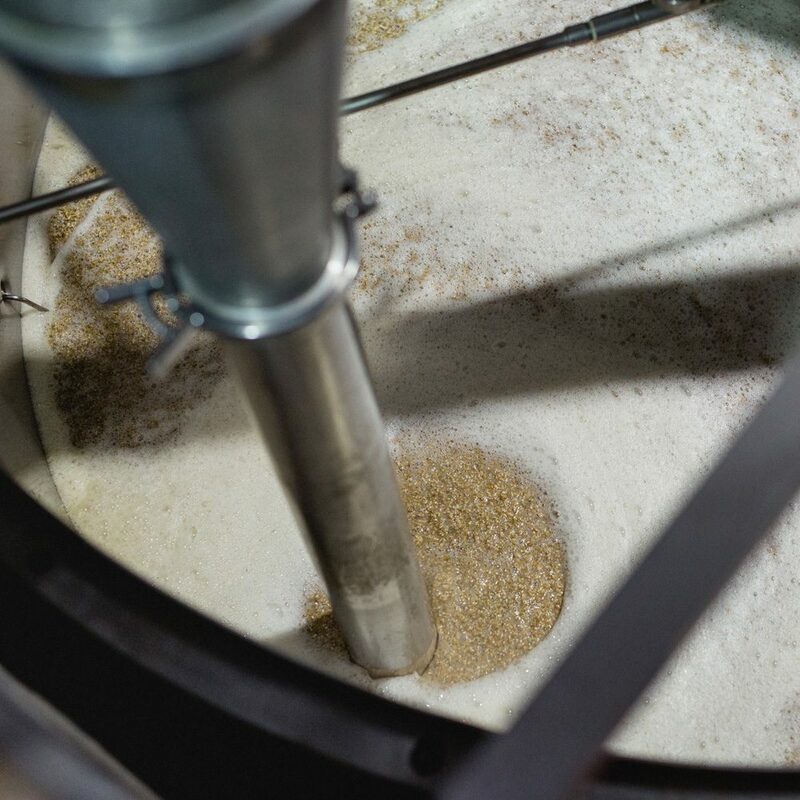 In charge of putting the messages from above into action and turning them into beer. 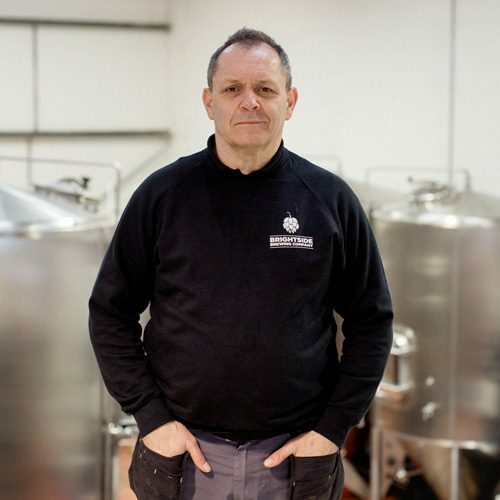 In the brewery, Martin is Lance’s right-hand man and always has his hands full. 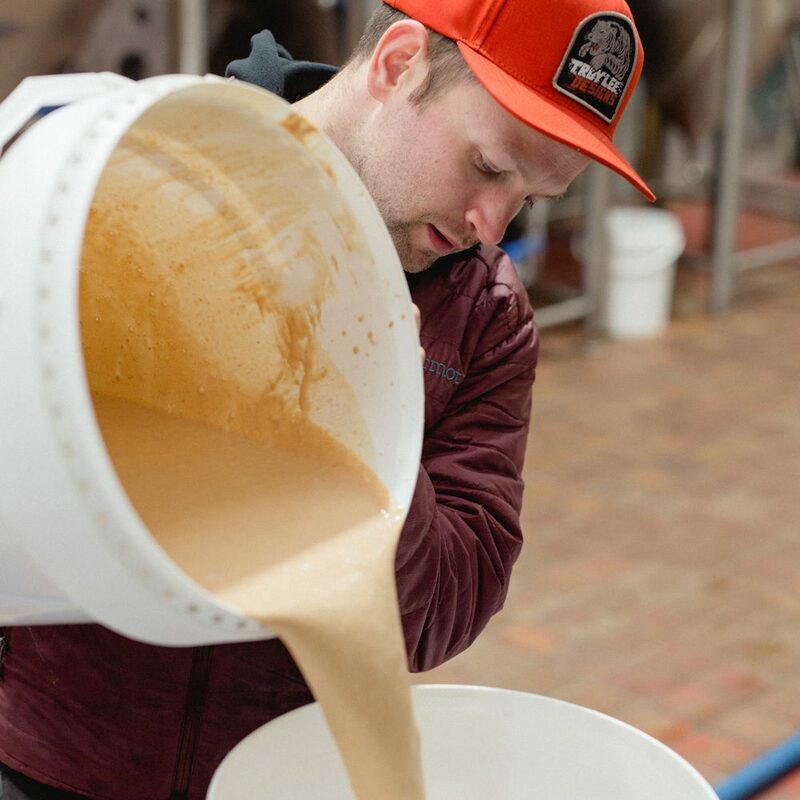 After joining us in 2016 he’s learned fast and quickly become an indispensable part of the brewing team. 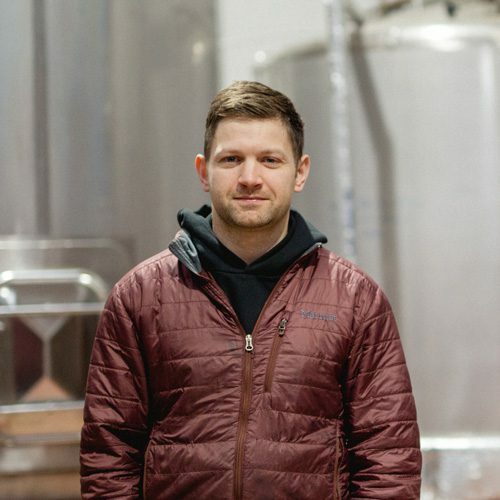 Captain of the ship, Neil is head of the family and of the brewery. 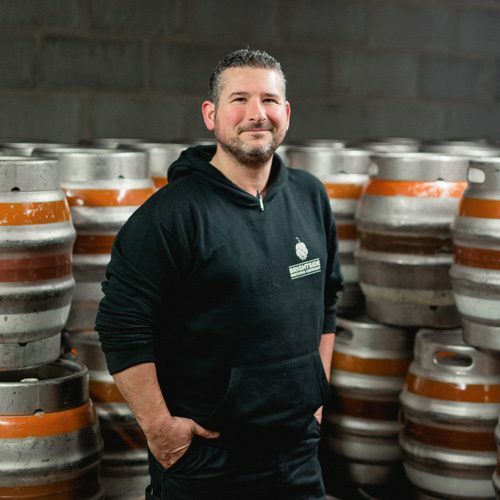 Devising recipes, keeping the records straight and business flowing smoothly – if it’s complicated, chances are it’s his domain!